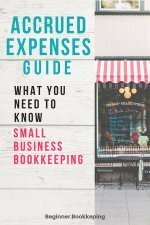 So, you want to know how to become a bookkeeper. Well, I want to provide more than just a boring list saying, ‘do this’ and ‘do that’. The aim of this guide is to get you to figure out why you want to do bookkeeping, what your current strengths and skills are, what courses to aim for and finally the bookkeeping job hunt. If you can’t be bothered with working through this process, or if you are simply researching for a project and don’t actually want to be a bookkeeper, then go to the boring ‘me telling you what to do’ list on how to become a bookkeeper at the bottom of this page. Download this free mini-work book. It will help you figure out how to do bookkeeping based on your reasons for wanting to be one and your personal circumstances. 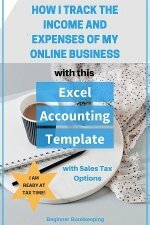 This is based on your own thoughts and feelings and will help you understand why you want to do bookkeeping. Think back to the moment you first realized you wanted to do bookkeeping, then answer these questions. Just skip the questions you can’t answer. Were you alone?If not alone, who was with you? Was it one single ‘aha’ moment, or a series of events that made you think of bookkeeping? If a series of events, write them down as you remember. Is there some other career option you would prefer? This is based on the thoughts, actions and feelings of someone you know. The more self-motivation you have to do bookkeeping, the more successful you will be! 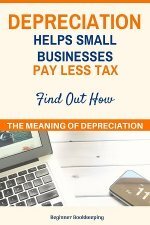 But if you are being compelled to become a bookkeeper because of someone else, it could be one of the biggest mistakes of your life; you could end up being totally miserable. Do you know someone who is a bookkeeper? Have they been an inspiration to you? Did someone put the idea in your head by saying ‘you should be a bookkeeper’? Are you being pressured to do bookkeeping by someone close to you? Is this career choice your only option for some reason? What is the reason? Are the people close to you supportive of your desire to do bookkeeping? If not, why? Can you think of ways to rectify this problem or can you speak to someone else who can help you, like a teacher? Is bookkeeping your number one choice? This is based on what you are currently doing in life. This will help you establish what resources you have available to study and learn how to become a bookkeeper. Have you got a quiet place to study? Where? If not, can you find a good place? A library is usually a good option. Do you have easy access to a computer and the internet? Are you currently working in a job? How many hours a day do you work? How many hours a day do you have available for studies? Will your employer give you time off for studies? Will your employer provide on the job training or support for studies? How are you going to pay for your bookkeeping studies? List as many of your strengths as you can (I’m sure you have them!) for example ‘friendly’, ‘persistent’, ‘in-depth knowledge of Excel spreadsheets’…. Now list areas that you think you need improvement in for example ‘how to write a business letter’, ‘how to stay calm in busy situations’, ‘how to speak to people if you’re shy’…. If you get stuck for ideas, read through our pages on the bookkeeper job description and bookkeeping responsibilities which may trigger some thoughts. List any training and certificates you have already received in personal development or office administration and computer use. Is there anything else you can thing of that will help you learn how to become a bookkeeper? If you want to study from your own location (like home), research the internet for on-line or home study bookkeeping courses aimed at your country. If you live in the UK and are looking at USA courses they will be no good to you because the tax laws are very different (such as payroll tax or VAT tax). Search now and then come back here to write the list of on-line options that you want to look further into. If you want to attend an education facility in or near your town, search on the internet for your local programs available, check out the yellow pages for your town, ask your local business centre or someone you are sure can point you in the right direction. List here the options available. If you lack the funds to pay for a course, research the internet for bookkeeping, accounting or business scholarships and check the application criteria to see if you are eligible to apply. List here any that are possible options for you. Or, are you able to apply for a student loan? Look in your local newspapers regularly for any bookkeeping jobs that are willing to provide on the job training. Look right now. Cut them out and stick them here. If you want to apply for the job right away, and need to prepare a resume or CV, check out our template. Keep looking daily. Alternatively, check the bookkeeping jobs advertised and see what sort of skills they expect an applicant to have. Look at a job advertisement right now, and write down the skills they expect. Are there any local, affordable short courses you can attend to gain the skills you listed in question 5? These days, you can get a lot of short courses for free from the internet. You may not always get a certificate out of it, but it will increase your knowledge thereby increase your confidence. Enroll in a bookkeeping course, whether it be on-line or with a local provider. Study hard and aim for the highest level. Once you have achieved your bookkeeping certificate, prepare your CV/resume and hunt for a job through internet job-seeking companies, look in the newspapers, ask friends and family to keep their eyes open. Get through the interview process. Once you have your bookkeeping job, work hard and learn as much as you can. Become frustrated with your annoying boss. Resign and start your own bookkeeping business. ...Take it as far as you want to go. Sometimes, you may be blessed to have the opportunity to work for a business that sees your interest and enthusiasm to learn and do bookkeeping and so will pay for you to attend a course, and then once you are qualified give you a bookkeeping position in their business. Sometimes, you may even be able to gain bookkeeping experience just by being in the right job for the right business willing to teach you so you don’t have to go out to a course. However, if you leave that job you might have trouble finding another one without an official bookkeeping certificate. Only you can make it happen with enthusiasm, hard work, a good attitude and a smile. All the best with learning how to become a bookkeeper, and a good one at that!